The account promoted itself as a "family welfare agency." The man, known as "AP", was arrested by Indonesian police along with three others who were involved in the baby-selling operation. 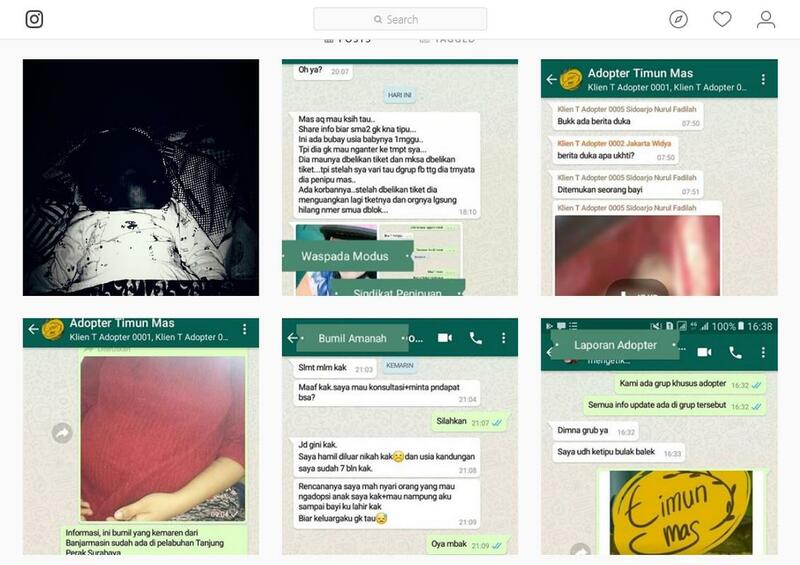 Also arrested was a 22-year-old woman from Surabaya, who was believed to have put her baby up for sale on the app for 15 million rupiah (RM4,000). East Java police spokesperson Frans Barung Mangera told The Guardian that the two other suspects from Bali included a midwife-turned-broker and a potential buyer. Police said that the suspects may be jailed for up to 15 years for violating child protection laws. |The operation made claims of being a family welfare agency to help "cover someone's disgrace" by preventing parents from aborting babies who were born out of wedlock. 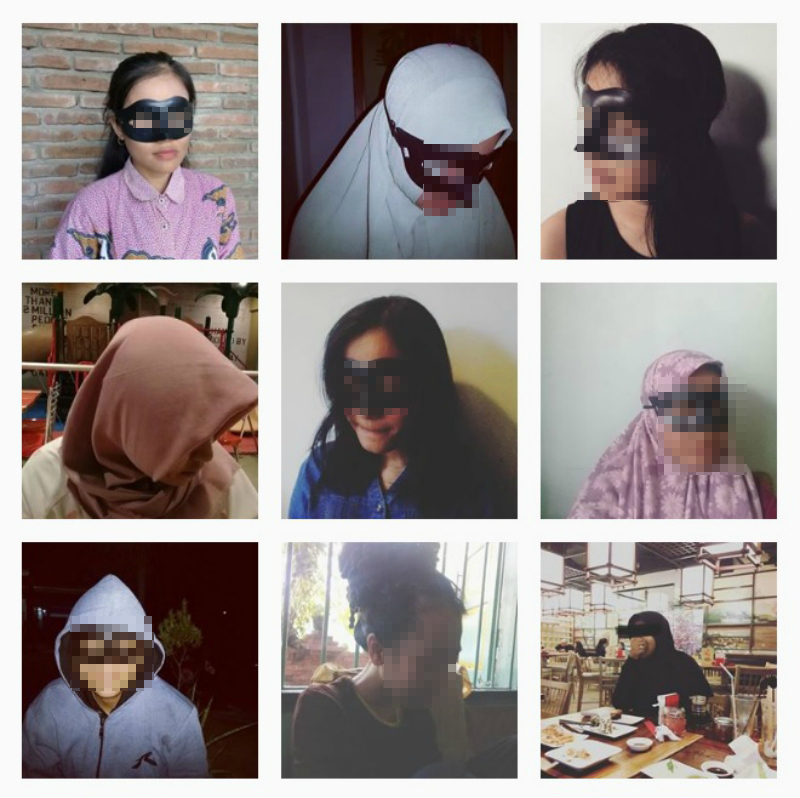 It also features pictures of women wearing masks accompanied by stories of how they chose to put their babies up for adoption due to financial issues. 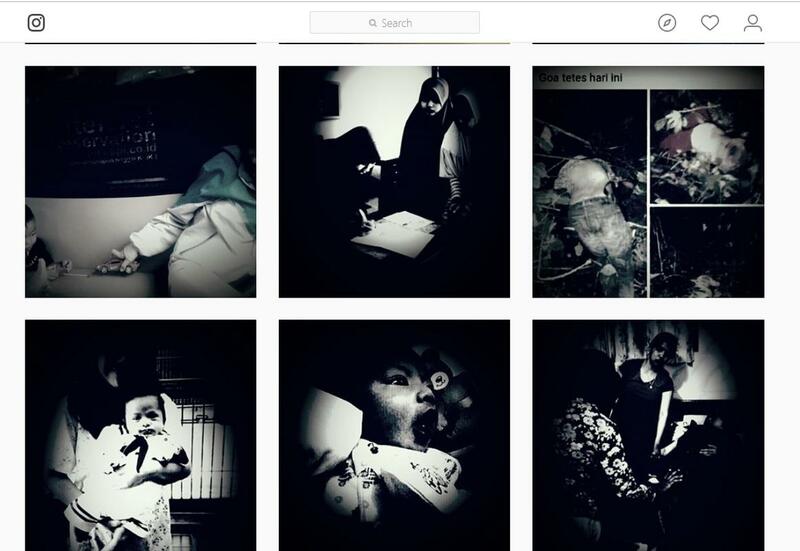 According to Detik, four babies have already been sold through the account. Images of the mothers wearing masks on the page. Screenshots of alleged conversations between buyers and seller. SAYS did a quick check on the account and found that it still exists as of today, 12 October. The last post uploaded on 15 September shows a grainy image of a one-month-old baby named "C86" with details of the baby. A Whatsapp number is also seen on the page for "potential buyers" to contact the agency. Police said that over 100 users have contacted AP since the page went live. Most of them were unmarried mothers. SAYS has since reached out to Instagram for comment.